I’m so grateful for the SSB community, for shared joys and sorrows and friendships. I’m mindful that Thanksgiving Day may be difficult for some whose families have been torn apart by spiritual abuse or other difficult circumstances. There are several people who come to my mind instantly as I am typing these words. My heart goes out to you. We’ve started preparations for our Thanksgiving meal. The new cranberry sauce recipe I tried did not set – oh well. If all else fails, I’ll bring it to another boil and try again. I still have to make the sweet potato casserole. I don’t have to do much as we have several cooks in the family who like to prepare their favorite part of the feast. 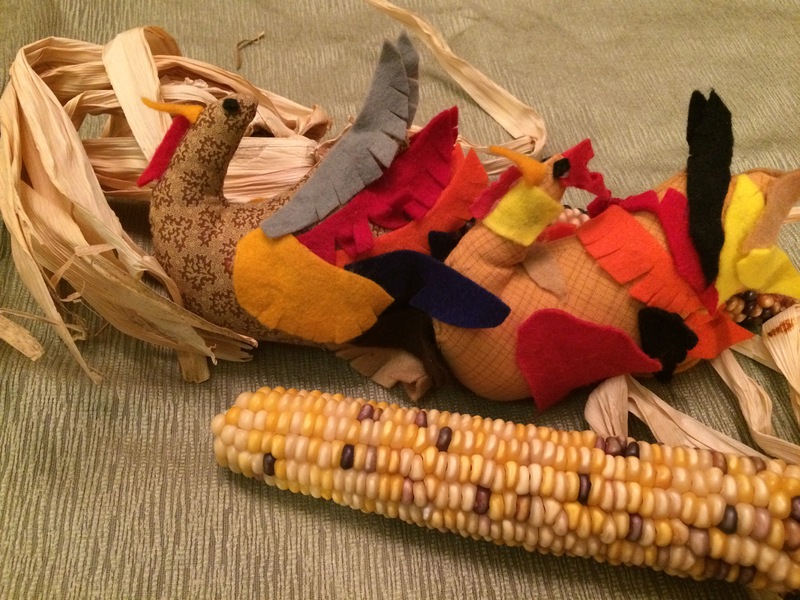 I’m looking forward to having my Caboose son help me set the table with the homemade turkeys he and his brother made a few years ago. The turkeys got their shape from tracing their hands (the thumbs are the turkeys’ heads – yea, I know, those are some turkeys – lol). SSB will be open for commenting. Previous postWhat Happened When You Shared Your Abuse Story with Someone for the First Time? Next postDisagreeing with Someone’s Opinion Makes You Like Satan? Happy Thanksgiving Julie Anne and all. Me, I’m skipping this year. Got chemo on what would be our 25th anniversary on the 2nd, and my family left me anniversary on the 7th of December. Nevertheless, Happy Thansgiving and Merry Christmas to all. Happy Thanksgiving and praises to God for all he has done for me. I am thankful more than ever for Jesus Christ and his sacrifice for ALL that will believe in Him. I will be spending this Thanksgiving by myself for the first time. I plan to have lunch at Cracker Barrel, write things that I am thankful for in my journal as they come to mind, play a few praise songs on the piano and sort through some things that are going to charity. God has been so good to me since the divorce last year and even though there is not another physical body here, I am not alone. Thank you, Jesus. We are not doing much today as we have the in-law’s bash tomorrow. My spouse is sick and so may have to miss the family thing. Other than that it will be a quiet day of household chores. I’ve been practicing Amos’ NOW deal and finding it very helpful. 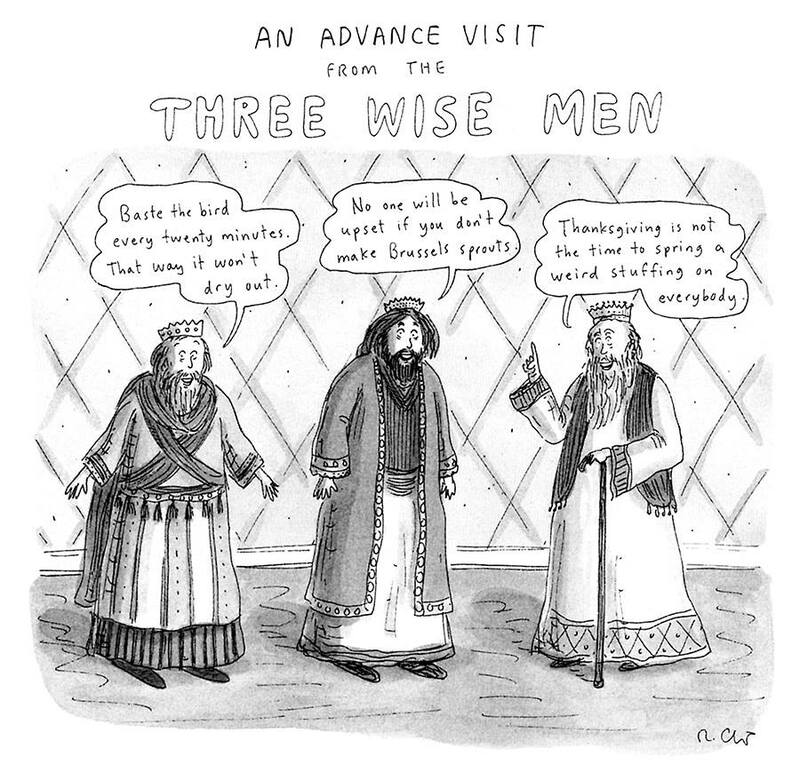 Meanwhile, hoping all y’all have a most wonderful T-day! P.S. Congrats J.A. on your most recent milestone post — what a number! Those turkeys are just the most adorable! Like many others, we’re having a difficult holiday season this year. It’s hard to motivate myself to do anything. Thanksgiving is when we usually break out the Christmas tunes. I discovered that Pentatonix came out with a new Christmas album. Here’s one of my favorite songs sung by one of my favorite groups. Happy Thanksgiving to everyone! I am so thankful for all who wander through here. You are special in this place! For the first time we are hosting Thanksgiving at our house. My in-laws are coming as well as some friends who do not have family in the area. My husband says that he’s doing all of the cooking, but I know we’ll be sharing the fun (I’m the gravy maker anyway). I’ll second Julie Anne’s thoughts – I know how tough the holidays can be for folks with difficult families or medical issues. You are on my mind and heart. Happy Thanksgiving Julie Anne and all. I love those handmade turkey decs, Julie Anne!! I do the same thing with our son’s T-Day drawings of pilgrims, turkeys and corn he made in kindergarten and first grade. They hang by our table every year. Good for you minervasue! For me, there are advantages and disadvantages to living thousands of miles away from family. Some I dearly miss, others I’m glad to never see their drama. John, it sounds like a difficult day in store for you and some challenging days coming up as “anniversary dates” of other events occur and cause you to remember those old days when things were seemingly smooth. That’s tough. I’m thankful that you are alive despite all of the medical challenges you have faced. I’m thankful that you found this place by a simple Google search, that there are people here who believe you without ever knowing you and will continue to uphold you in prayer for your physical healing as well as support you are you try to recover from the loss of your family and spiritual abuse you incurred. One day at a time, God promises there are new mercies every morning. I believe that’s true for you, too. Grateful for this loving community. Happy Thanksgiving, Gail. I’m sure glad you ditched the last part of your user ID 🙂 You’ve come a long way, friend. Ok, for those who like to stuff themselves with yummy food, I wish you happy sleep like this. Folks, I am impressed with anyone who enjoys cooking for Thanksgiving! I have never been comfortable around a kitchen. My poor husband will be eating out this year. I am thankful he has hung around this long (yesterday was 31 years) with a wife who hates to cook. ( though I like to clean up!). John, I know holidays can be especially difficult for many people. Ignore the holiday commercials- they set up a false expectation for most people. We are thankful you are here! I hope each person here experiences a small, unexpected joyful encounter during the holidays. An encounter that has nothing to do with false promises. I know love is here in this room. Xoxo to all! He’s about the cutest thing ever. Love those cheeks!! Well, we love good food and couldn’t afford to go out much with our large family, so we learned to cook well. My kids loved watching cooking shows on tv. One thing that really helped (and it was unintentional), is that during my last pregnancies #6 and #7, I was sick as a dog during the first two trimesters and the thought of smelling any food would make me sick. So my kids, who were used to homemade cooking, decided if they wanted it, they’d have to make it themselves. They should have known how to do it, they were at my side “helping” me all of these years. Now, the oldest ones have their specialty for holiday cooking and it sure makes it nice to divide up the cooking. We are food snobs and don’t want to go somewhere else for holiday meals – lol. But we enjoy having people over. Sadly, this year, it’s just us (minus our 2 daughters, one who lives in Hawaii, and the other who is away at college). Hey and Happy Thanksgiving from your Northern Neighbors! We celebrate Thanksgiving in Canada just ahead of you guys–the 2nd Mon. of Oct. There is so much to be thankful for in both of our countries! All the best as you ponder God’s goodness to each one as you enjoy eating your feasts! Julie Anne, thank you again. I made it through the day! Thank you for your wisdom, understanding, prayer support and all that you do. You are right, the old days when things were “seemingly smooth.” So true, seemingly. Yes also, a simple Google search and I found you, Raymond, then all the wonderful people here who believe me, pray for and care for me. No coincidence in that Google search! Thank you for reminding me of God’s mercies and the new ones each day. I wish I could have spent time with my kids today. I miss them incredibly. They are in God’s hands and I am trusting Him. Ann, thank you. So true about the commercials. I can’t watch TV, too many triggers, too many tears, but you are right it is false. You are also right that there is so much love here. I feel it more here among people I have never met and feel accepted as I am, a broken man who loves others so much, robbed of love from my family by false religious “shepherds.” Here, God ‘s love and through others helps me get to the next day. Amazing. Thank you Jesus! Traveling with family, swore I commented yesterday, must not have hit the post comment last night. First, my heart goes out to John, would do a road trip with another SSB buddy to go sit with you for your chemo treatmentsif you live in Michigan! Yep Julie Anne, it’s about stinking time, feels freeing not to cower anymore. Grateful for all the informed, savvy, sarcastic, compassionate voices here! Big thanks to Julie Anne for all her hard work to create this sacred safe space! Oh that baby, loved that smily, sleepy head. This poem is for the weary! Hope it is ok to share, it is kinda long. Your poem “The Bravest Thing” has carried me through many a day the past year. I have read and reread, and shared and re-shared your words. I am not sure if I am in a full blown “dark night of the soul,” but it is possible and/or close. Can you tell me, if even in part, the occasion which prompted you to write these beautiful and powerful words? Many people talk in many ways about the dark night of the soul. But one of the common threads through all that talk is the profound feeling of being alone. Before going any further I want to say that’s what I hear in your question, and the sound of being alone hurts. I am sorry you’re feeling that, even if, as many claim, the dark night leads to a consciousness-shattering dawn. Because when you’re in the night its dark, and often cold, and you feel, or at least I have in the nights I’ve weathered, just plain lost. Forgive me if I’m reading too much of me in you, but that’s what I hear in your question. That poem you’ve reread and so graciously shared with others? It surfaced during such a night. It was strange, and completely uncomforting, to me during that night that the voices of faith around me all seemed to be chanting words about being your best you, or giving your all and then some, or putting on a world-changer jersey. It was like being in the middle of a pep rally, and I just wanted them to shut up because I was simply trying to summon the will to shave. For some reason one morning, and I can’t remember why, I was reminded of something John Updike said. I’ll botch this but it was along the lines of some days the most spiritual thing you can do is set the empty milk bottle out on the steps. That’s not something chanted at pep rallies, huh? That’s the kind of thing a trusted friend quietly says to you from across the kitchen table, a friend who can only say that because he or she has endured days of doing nothing more than setting the milk bottle out on the front steps. I thought to myself before you put the milk bottle outside, you’ve got to first put your feet on the floor. And those were the shaky legs on which the poem was born. I am thankful it has meant something to you. I know it did to me at the time. That poem is really about grace, a word that is often on banners at those pep rallies I mentioned earlier. But unfortunately what those banners wave of is a straining grace which, in my opinion, cancels out the whole grace thing, an ill-defined grace that’s about achieving or building or doing something that the world finds impressive. Not everything that quacks like grace is grace. I realize that sounds quite judgmental, and maybe it is, and maybe that’s not as bad a thing as we think. One thing you do learn in the dark nights is discernment, or how to judge things for their worth or lack of. I’ll close with two prayers for you. First, I pray that during this night, be it full blown or close to it or something in between, you’d keep putting your feet on the floor. Please, please, please don’t stop doing that. Remember – the eyes this world knows little of sees that seemingly simple action as intensely brave. And my other prayer for you is that this night makes you a little more judgmental, or if you’d prefer discerning, that you’re able to see a little more clearly, so you can say this is worth my time and attention but that over there is not. Discerning people know that pep rallies are pep rallies, but the game, well that is something else. We had our gathering yesterday. Between the pigging out and the turkey, I’d say the barnyard was pretty well represented. And much caloric intake was had by all. Lol – barnyard well tepresented. That’s funny. Reading the great conversation here….very edifying to my faith. And amongst the prayers said at the Thanksgiving table, once you have experienced the Bread of Life through Christ alone, one cannot help but become choked up over the fact that our Great God has provided meals for us each and every day. Spiritual food through His Word and fleshly food by His Blessing. It is truly humbling that He is in control of our crops out in the fields, for man can only do so much, so there are no bragging rights here. And thank-you Barnabasintraining for that super sense of humor you possess for a “gut bomb laugh” is more than welcome in this world. Awesome analogy and one to remember! A “barnyard full of thanksgiving”….and still laughing here.